A famous Italian filmmaker, Salvatore De Vita, returns to his hometown after hearing of the death of one of his childhood idols, projectionist Alfredo. A long flashback shows of the filmmaker’s childhood, where he grew up without a father and fostering a love of film. As a teenager,he falls deeply in love with Elena, whose parents do not approve of the match. How does he get from this to his status as a famous filmmaker? What a beautiful film. The child who plays six-year-old Salvatore is absolutely delightful, and the relationship between him and Alfredo is magical. There are a few flaws, particularly toward the end of the film, but certainly nothing to hurt the magic of the rest of the film. 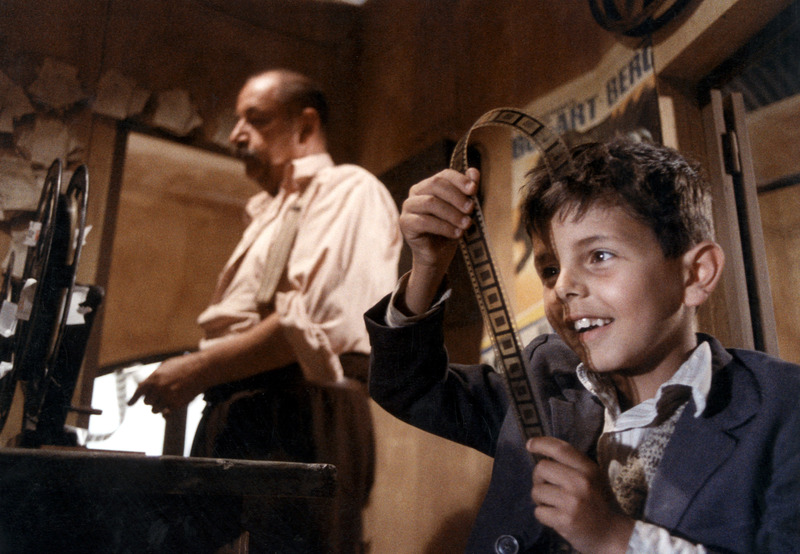 Cinema Paradiso won an Oscar for Best Foreign Language Film.